Close-in Montgomery County concentrating in the Bethesda/Chevy Chase/Kensington neighborhoods. NW DC and Capitol Hill concentrating on Chevy Chase, Wesley Heights, AU Park, Glover Park, Spring Valley and surrounding neighborhoods. Alyssa Crilley is a top producer, selling residential real estate since 2004. She is a dedicated, full-time professional real estate sales associate who devotes her time to her clients needs. She prides herself on the resources she has to assist her clients� every need, especially in getting a home �market-ready.� Her trustworthiness, people and organizational skills, responsiveness and knowledge of the area provide expert service from the first meeting through settlement. She understands the needs of a wide client base from first-time buyers to families wishing to downsize. 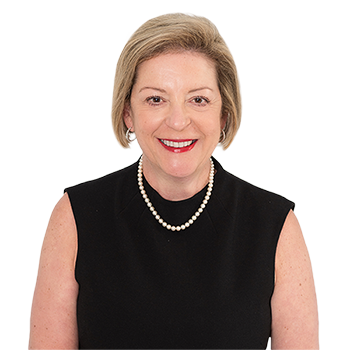 Originally from Scarsdale, New York, Alyssa has lived in the Chevy Chase area for over 25 years. She started her real estate career in commercial real estate, acquiring experience in finance and marketing, working first with Western Development Corporation and then with Federal Realty Investment Trust. Alyssa lives in Chevy Chase, Maryland, with her husband Jim and three children. Alyssa is extremely professional and a knowledgeable and accomplished realtor. She knows her market and is straightforward and direct on how to address preparing a property for sale and listing it. Her expertise in the Chevy Chase market was absolutely invaluable. We are so thankful for her guidance, attentiveness and dedication to completing our transaction. Alyssa herself has great instincts plus years of experience in knowing what makes your house sell—then her assistant, Laura, puts her expertise into play to assist Alyssa in making it happen. Her marketing and beautiful photographs caught the attention of UrbanTurf and our house was chosen as one of the best new listings the week it was listed! Alyssa�s advice was on point and focused. We received help with downsizing, staging, inspection issues, and intense negotiations literally on Christmas Eve and Day! She is a very calming voice in the stress of selling your home—even when her sellers are stressed out and not always reacting calmly! No question she's the best! I just wanted to take a moment to let you know how much my mom and I appreciated Alyssa�s efforts on our behalf. The sale of Mom�s house was as smooth and trouble-free as can be imagined, and I cannot tell you what a relief that was under the circumstances. Alyssa is a true professional, and we could not be more pleased that we had settled on her to represent us. She clearly knows that market better than anyone, and we, her clients, certainly benefitted from that. We would recommend her highly to anyone seeking an agent in the area. We recently listed our home in Chevy Chase with Alyssa Crilley. Washington Fine Properties was recommended to us as a great company to use to sell our house. We contacted Alyssa in the late winter to be our agent. She responded immediately and came to our home with all the needed written materials, instructing us on how to list the house, what to expect from your company and what to expect from her as our agent. She was very professional and sat with us for quite some time, discussing our time frame and expectations. We took her advice on what to do to make the house more appealing to prospective buyers. Her suggestions were right on target, and we followed her much-needed gentle prodding to lighten the look of a well lived-in house of 35 years. In addition, she was very resourceful in finding contractors to service various jobs to make the house more appealing. For example, she found a good contractor to clean our slate roof, which enhanced greatly the curb appeal. She has a great eye for making small, but dramatic, changes to the interior as well. The entire process went well from start to finish. She handled the tough issues, and we are very happy that we chose your company and Alyssa as our agent. I would recommend her to others selling their houses in the area. Alyssa did such a phenomenal with suggestions for preparing my home for sale and with her marketing plan that I had multiple offers after the 1st weekend my house was on the market and a ratified contract within 1% of my asking price in less than a week. This was especially amazing considering that 3 other homes on my street had all taken well over a year to sell. If you want quick results — call Alyssa! We worked with Alyssa to sell our home in the Hamlet in Chevy Chase and couldn�t have had a better experience. She gave us terrific advice on preparing our home for sale and was spot-on with her listing strategy. We sold our house in three days for over listing price! We were impressed with Alyssa�s responsiveness, no matter the issue or the time of day (or night). She provided thoughtful, professional counsel throughout the entire process and was a pleasure to work with. We couldn�t recommend her highly enough. We couldn't have asked for a speedier, easier sale of our house. Further, Alyssa took care of all the issues in readying our house for the market—a particularly important consideration for us because we chose to move to our new, out-of-town location before marketing. Moving is a hassle, but with Alyssa's professional assistance, selling the house was hassle-free. You took a complicated situation and made it happen with your persistence, patience and enthusiasm! You gave us great advice which resulted in a rapid sale. We couldn't be more pleased with you and Washington Fine Properties! My husband and I have had the pleasure of working with Alyssa Crilley. We signed with her a couple weeks ago after looking for an agent to represent us for over two years. I am sure you already know, but I just wanted to say thank you for having such an amazing agent in your organization. Alyssa has been a true professional. She has taken time to get to know our family and has always treated us with the utmost respect. It has really been a great experience, and because of her we will be a long client of Washington Fine Properties. Alyssa was a consummate professional, and from the start we felt like we were in good hands. She was extremely knowledgeable about the market and helped us list our house at a price with which we were comfortable. She worked doggedly to show our home, she was always available to talk and made us feel as though we were her priority. Our house sold quickly and her attention to detail helped us sail through the closing. We give Alyssa our highest recommendation! We feel fortunate to have worked with Alyssa Crilley! What most impressed us about Alyssa was how much she valued us as customers. She listened carefully to our improvement history with the house and translated that effectively into a successful listing. She personally attended every open house and sent timely and helpful feedback that same day. Alyssa has excellent communication skills and was easily accessible via phone, email and text. We would highly recommend Alyssa for anyone wanting to sell their home with an experienced professional realtor with top-notch service in mind. Thank you, Alyssa! You�re the best! Being a mergers and acquisitions lawyer, I had been involved with many business transactions of one sort or another over the years. With this item as background, when Alyssa began to work with me on my sale, I was impressed with her smart ability, among other things, to provide a range of values on my home which then led to a successful execution within a brief period of time in a turbulent market. That is what happens when you deal with a savvy, experienced and smart adviser in the person of Alyssa. Alyssa is one of the most professional, efficient, patient and hardworking people I know. Her advice and guidance have been a life-saver through the selling of two homes now. The house she found for us suits our family's needs to a t, and we are going to have many wonderful years there. Alyssa Crilley was always available to meet us and show us around. She was accessible and quick to respond to our questions. Her positive approach to difficult situations was appreciated by us. Robin and I wanted to let you know how appreciative we were for your help in selling our home. Right from the start you had a positive attitude. But what truly amazed us was the commitment, dedication, and professionalism you exhibited in the weeks that followed to work with the array of contractors and vendors during the pre-sale fine-tuning to the final walk-through inspection. Alyssa, thanks for your skill, experience, and expertise. The service and personal attention we received from Alyssa Crilley were exceptional. Her knowledge of the local market and key contacts in the community helped us in the search for our new home. After patiently going through listings with us, Alyssa made sure we got the best offer for our previous home and, more importantly, the best value purchase for the new one. She brought a high level of professionalism, negotiating ability and knowledge to each transaction from listing to close. Regardless of whether you are buying or selling, we would highly recommend Alyssa Crilley to guide you through the process! I wanted to take a moment to thank Alyssa for helping us with our home search. We could not have been happier with our experience with Alyssa and WFP. The results speak for themselves. As first-time home buyers with almost no preexisting knowledge of the industry (and far too many questions), Alyssa's patience, knowledge, and experience were invaluable to our search. Alyssa's guidance made our search process considerably less stressful, and we always felt as though we were getting the best advice from someone who had our interests as a top priority. Alyssa struck the perfect balance between giving my wife and me the space to make decisions and providing good advice/direction. Most importantly, Alyssa's experience and reputation in the industry were an incredible asset to us. The selling realtors we encountered clearly respected Alyssa, and her relationships were valuable in helping us gather information about the homes that interested us. Moreover, our purchase involved a competitive bidding situation in a hot Washington, DC, neighborhood and a complicated purchase from a foreign government. Alyssa expertly navigated an unorthodox process with the government and drafted us an A+ offer that got us the home of our dreams on our first try, without overpaying. In particular, we very much appreciated Alyssa's speedy and professional responses to each and every question we posed to her about all aspects of the process (at all hours of the day/night, 7 days a week). The level of customer service we received from Alyssa is rare in this day and age in any business. Alyssa did such a good job, I cannot imagine having to move, but if we ever buy/sell again, Alyssa will be our first call. Alyssa, words cannot explain how exceptional you truly are. We have worked with realtors and other service providers over the years, and your customer service, real estate instincts and tenacity are unmatched. As you know, we were expecting our first baby when we started looking for a new home, and when our lender threatened to delay closing for a week, you and your office stepped in and worked out all the details to close on time. Your patience, guidance and knowledge helped us purchase our new home in Rock Creek Hills in Kensington, Md. You made everything move smoothly during one of the most exciting and stressful times of our lives. We are so thankful that you are our realtor! Selling a home has hopeful expectations: Please, let it be convenient, unobtrusive, free of haggling, quick and conducted by competent, polite realtors. Thanks to Alyssa Crilley and her agency the selling of my home matched my expectations. Thank you. Always professional and dependable, Alyssa took control over the entire marketing process, from the selection and order of website photographs to the layout and content of brochures and other print advertising, and brought with her a team that included a stager, photographer, and floor plan surveyor, all to create a comprehensive marketing package for my home. She also recommended a flooring contractor and a mover, both of which I used and with which I was completely satisfied. In my particular case, her efforts also included the fairly complicated coordination of last-minute improvements, staging, photography, website completion, listing, and initial open houses, all within a few days, in order to get my home on the market as soon as possible after I had made the decision to sell. She was also able to leverage other open houses in the area to maximize traffic at open houses for my home. From the beginning of the process until after closing, Alyssa was extremely responsive and always made me feel like I was her most important listing. She worked tirelessly to show my "by appointment" listing and to otherwise minimize my direct involvement and the impact of the sale process on the rest of my life. She also appreciated and was sensitive to the complexities that my divorce added to the transaction and to other issues related to my downsizing after almost seventeen years in the same home. When the time came, she was able of manage multiple offers concurrently under unusual market conditions and offered many useful suggestions during contract negotiations and in advance of settlement, allowing me to get the maximum price for my home with the least amount of risk that a prospective buyer would terminate or have the opportunity to renegotiate the sale price. I recommend Alyssa without reservation. I am writing to thank you for the wonderful job you did managing the sale of our house at 8308 Kerry Road, Chevy Chase, MD 20815. Your marketing pieces were beautifully done. The interior pictures of our house truly showed its beauty and the generous room sizes. The brochures you prepared and the stunning color postcards you mailed caused lots of families to come see our house. I am sure you spent hours working on that plan � and it was successful as our house sold very quickly! Working with you, Alyssa, was a pleasure! You answered our many questions and gave us the best advice in every area. We received so much of your personal attention we almost felt as if we were your only clients! Thank you for all you did for us. We wish you the very best at Washington Fine properties, LLC. They are lucky to have you on their team. A year after Alyssa hit a home run selling my parents' Bethesda home in a down market, I asked her to help me find a condo in DC in a very tight market. When a loft opened up in the building of my dreams, we went to see it at 11 a.m. and were in contract by the end of the day. Alyssa's ability to close the deal was nothing short of miraculous — the owners were about to sign with another buyer. Alyssa is an absolute pro and I loved working with her. You will, too! Alyssa represented us as buyers, helping to prioritize our requirements and guiding us to decision-making, ultimately bringing us to a flawless closing just 24 days after contract resolution. Never once did she pressure us on price or bid. With superb client focus, Alyssa brings patience and expertise to getting the right house. I interviewed a number of agents to sell my parents' home in Bethesda, and I am so glad I chose Alyssa Crilley. The process has been flawless from start to finish. She has referred me to excellent assistance, including a top-notch photographer, stager, mover, and more. I recommend Alyssa without reservation. Alyssa went "above and beyond" in selling our beautiful home of 27 years - at 112 Hesketh Street in Chevy Chase Village - and was a tremendous help in our new purchase in D.C. Downsizing from a home of 27 years is a daunting task. Alyssa was always there for us. We will always appreciate her dedication to her work and her clients. She is very professional and dependable and we feel lucky to have had her as our friend and realtor. Alyssa represented us in the purchase of our home in Bethesda and the sale of our home in Chevy Chase. On both sides of the transaction she was simply terrific. She had great insight into the market, and on the buy side was able to offer helpful suggestions throughout the process of contract negotiation and settlement. On the sell side, she marshaled the necessary marketing resources to move our property quickly under difficult market conditions. Most importantly, as a busy professional with limited time to devote to the process on both sides of the transaction, Alyssa leveraged her skills and experience to handle the transactions efficiently and with minimal involvement. Alyssa Crilley is the complete package. A professional with natural charm, she is considerate, fully aware of the emotions that revolve around the buying and selling of a home. Alyssa's strategy, execution, commitment to us and the sale of our home resulted in a better result than forecast by other top real estate professionals. We are very pleased with the services provided and would not hesitate to recommend Alyssa.